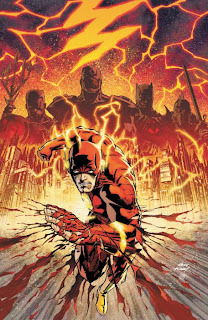 Matt C: Marvel have already launched their mega-event, Fear Itself, for Summer 2011, and now, inevitably, it’s the turn of DC with Flashpoint. Like Blackest Night before it, while it pulls just about all of the DC Universe into its vortex, it hinges around one particular character and his mythos, in this case the Flash (the Barry Allen version, obviously). 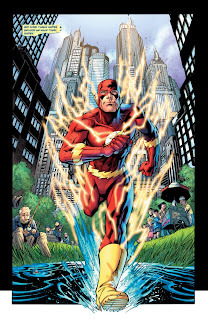 Also like Blackest Night, the lead up story – ‘Road To Flashpoint’ – ran in the main character’s solo title, but having read that I can say that it’s far from required reading to gain enjoyment from this debut issue. 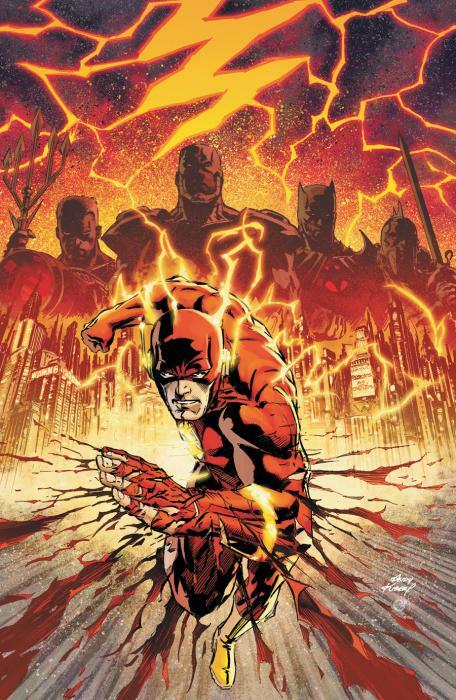 The story in the Flash book didn’t reveal exactly how Allen wakes up in a parallel reality, so readers of that title are essentially in the same boat as everyone else (although they probably have a better idea of who might be behind Allen’s current predicament). And yes, it’s a parallel universe story, a sci-fi staple for decades, and Johns has gone for the variation where one character is aware that something is wrong, and things aren’t the way they’re supposed to be. It fits with character as the Speed Force is, amongst other things, a means to travel through time, and if you’re travelling through time there’s a good chance you’ll alter the future, intentionally or otherwise. 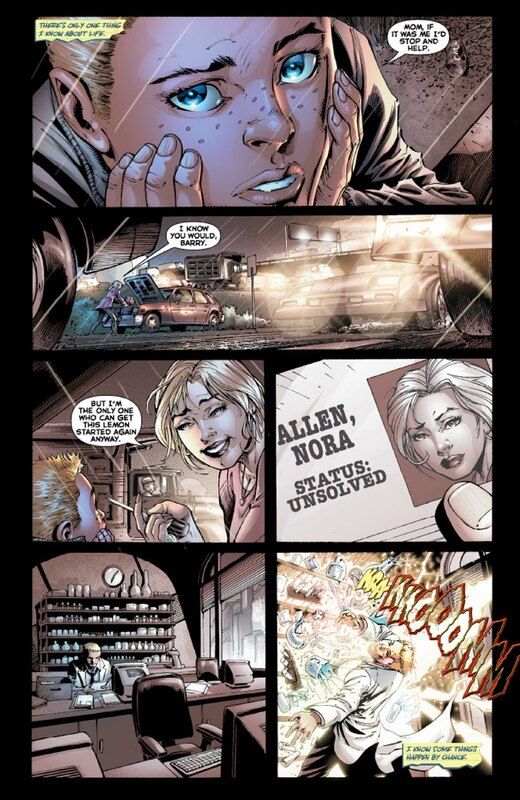 In the universe Allen finds himself in no one appears to have heard of the Flash. No one’s heard of Superman either, although Batman is still patrolling Gotham (but it’s not who you expect to find under the cowl) while Wonder Woman and Aquaman are apparently villains involved in a ruinous war that’s already taken out most of Europe. Yes, this is, to all intents and purposes, something of an Elseworlds tale, but by bringing it into the proper DC Universe we can expect consequences and changes on the horizon. I’m going with ‘Yes’ at this stage – although it’s not perfect it’s an impressive opening salvo, one that suggests DC have another hit on their hands. Much of it is taken up with introducing us to this whole new world, and we do get a parade of familiar characters in unfamiliar guises, which works well for the most part although every now and then an element of smugness in play (you can almost here the creative team cry "Look how clever we are!" at certain points). Wisely Johns keeps Allen the focus, and hopefully that will remain the case as I seem to recall Blackest Night stumbling when it tried to cover too many characters. 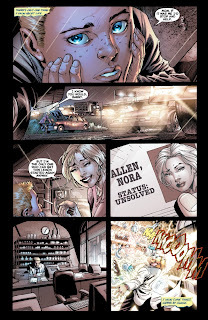 The writer is still an expert at bringing emotion to a big canvas, and he gets it right here several times as Allen comes across people from his own life but not in the way he remembers them. The art was amazing, but for the overall book, I wished they kept the price down. That would have been groovy. Yeah, 'Holding the line at $2.99' seems to have gone out the window for this one. Be fair guys, this is over 30 pages of story (and glossy cover if you are into that sort of thing). Plus the spin-offs will all be $2.99, that's a better deal than you would normally get at Marvel. You're right, it's a nice, well presented book, worth paying $3.99 for. The problem I have with the whole 'Holding the line at $2.99' thing though is that I do notice those missing two pages. I understand their reasons, but I don't know if I'll ever get used to anything less than 22 pages.